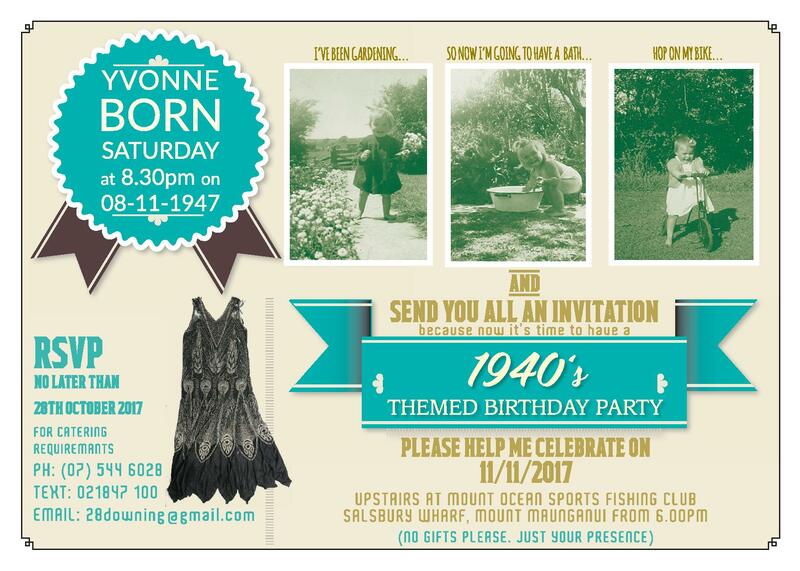 We were asked to create a 1940s themed birthday invitation for Yvonne, celebrating her milestone birthday in style. The A4 invitation was designed and printed as quickly as possible so that Yvonne could post them out in time to her friends and family. Yvonne was very happy with her invitation and we are sure her guests will be impressed too!